Pam Gruner was chosen as the Master Gardener of the Quarter for the second quarter of 2016! I grew up with gardening. It is deeply embedded in my heart & my soul. So many things I remember from my childhood are garden related. It has just always been a part of my life and I love it!! I love learning new things, but better than that, I love teaching other people about something I love. As a Master Gardener I have come to realize just how many people do things without thinking about the possible long term effects. They don't think about how that "Roundup" is slowly killing this beautiful world God gave us to live in. I hope, that as a Master Gardener, I can help them realize just how important our role as caretaker is. 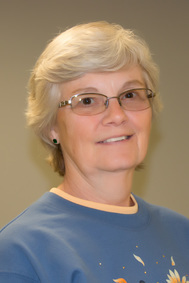 Pam has only been a part of the Master Gardener organization since 2014. In that short time, she has jumped in with both feet to become a vital member of the PHLMG organization. Congrats to Pam as Master Gardener of the 2nd quarter of 2016!